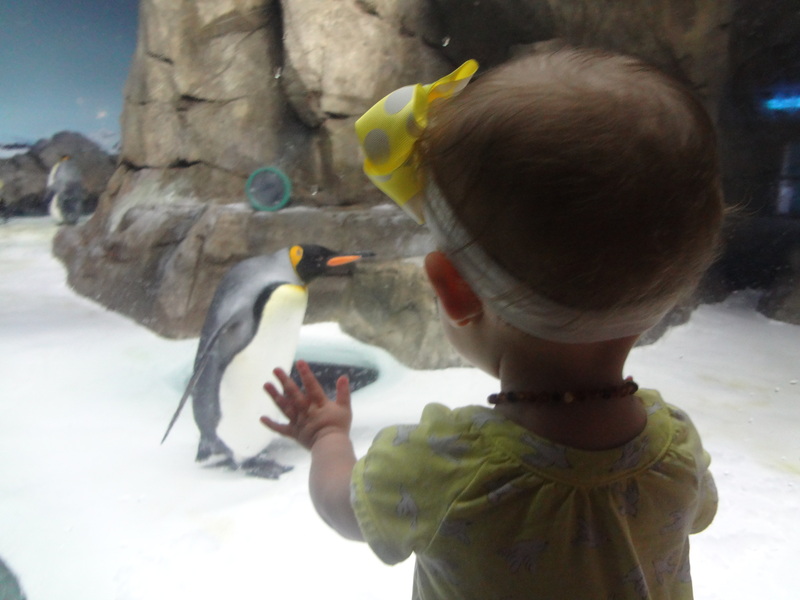 Since Patrick had to work, I invited my mom to come with Madeline and me to the Friends of the Zoo breakfast event. It was a little rainy at first, but it was still fun. 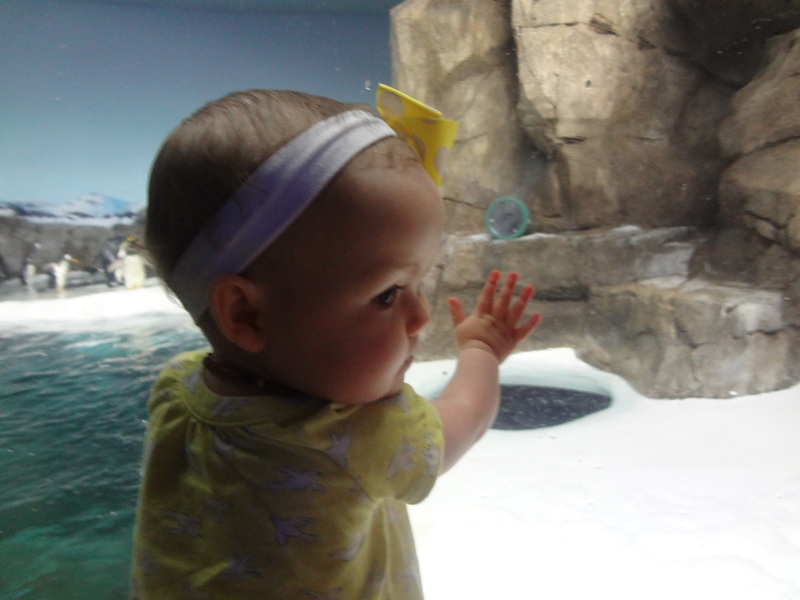 Of course, we spent the majority of our time in the penguin exhibit, but that’s okay. They are Maddy’s favorite and mine too. 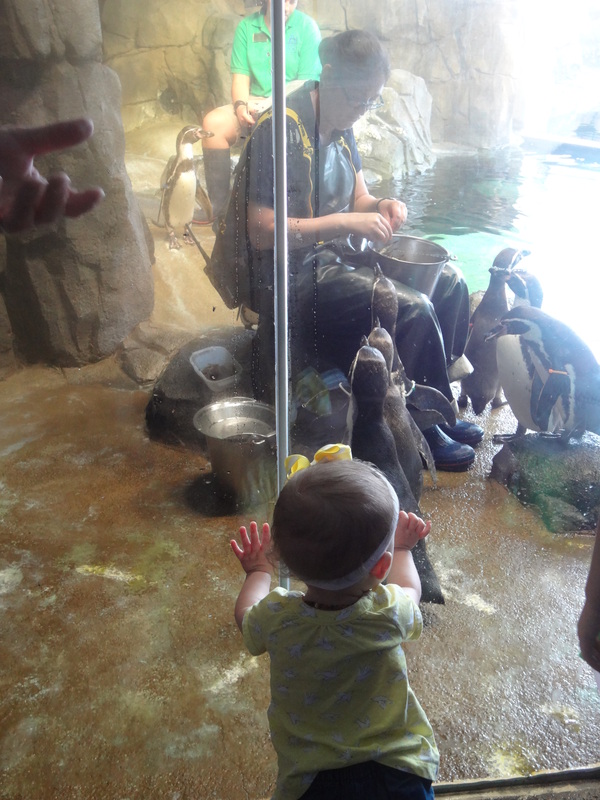 Madeline got to watch them feed the penguins. 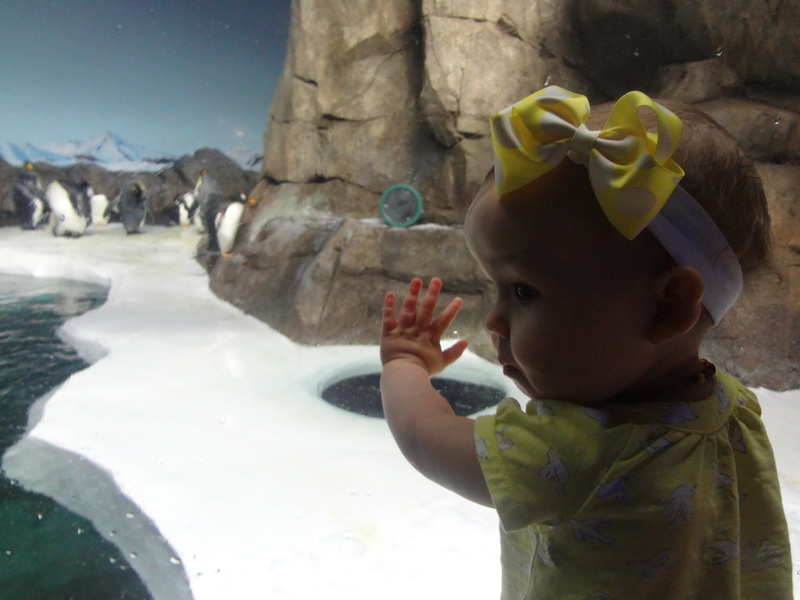 There was a hole in the ice where they would swim under and then pop up. 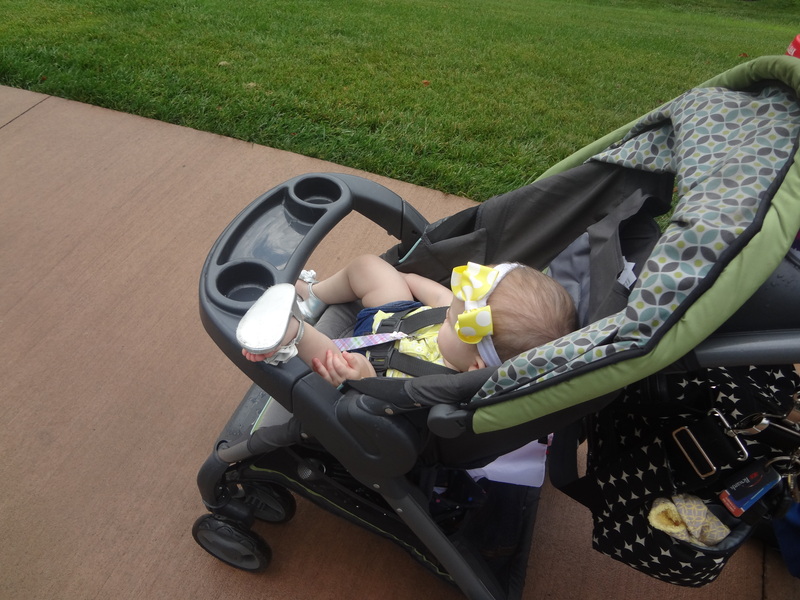 Madeline thought it was pretty fun when they would walk over close to her. 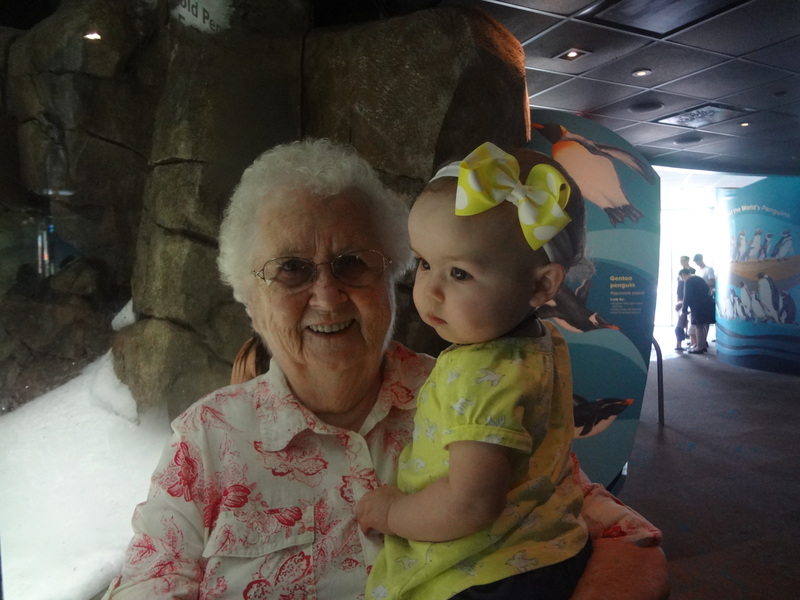 She loved getting to show Grandma her favorite penguins. 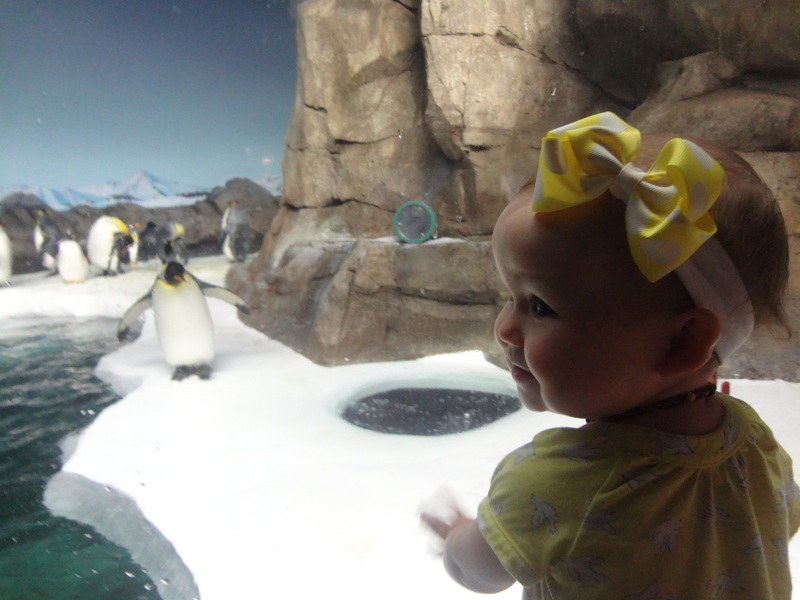 She loves to just chill at the zoo. Right before I took this photo she had both feet up on the tray. She is such a goofy girl.